Explore the deep history of Peru on this multi-day excursion from Lima and visit the top Peruvian landmarks: Machu Picchu, Lake Titicaca, and more! This information must be provided to Gray Line Peru prior to your trip via e-mail or phone: Complete name of the passengers, Nationality, Date of birth, and passport number. Contact information will be given after purchase. After your arrival in Lima, you will meet a guide at the airport and then transfer to your hotel. In the afternoon we will have a tour through Lima’s streets and plazas. Starting at the Love Park in Miraflores, with a spectacular view of the Pacific Ocean, and then heading to the Huaca Pucllana, ceremonial center of the Lima culture. Later we will go to San Isidro, the financial center of the city. After this, we go on to the Main Square where the Government Palace and the Town Hall are located. We will visit the Cathedral and explore the San Francisco convent, built in the seventeenth century, to discover the mystery of its catacombs. Stay the night in Lima. In the morning we will distance from the crowds and visit Sacsayhuaman, a huge and impressive fortress of colossal constructions and surrounded by beautiful views blending together perfectly. Our adventure continues at the Inca Shrine Qenqo, to see the sacrificial altar embedded inside a rock cave. Finally, we will arrive at the Puca Pucara viewpoint and Tambomachay, the monument of impressive architectonic knowledge considered as one of the pillars of Andean Cosmo vision. Free afternoon to explore the city. A train trip away to see one of the New Seven Wonders of the World. We arrive at the Aguas Calientes station where our staff will assist us in boarding the bus to go up the winding road to Machu Picchu, amid a spectacular view of the Urubamba River and its canyon. 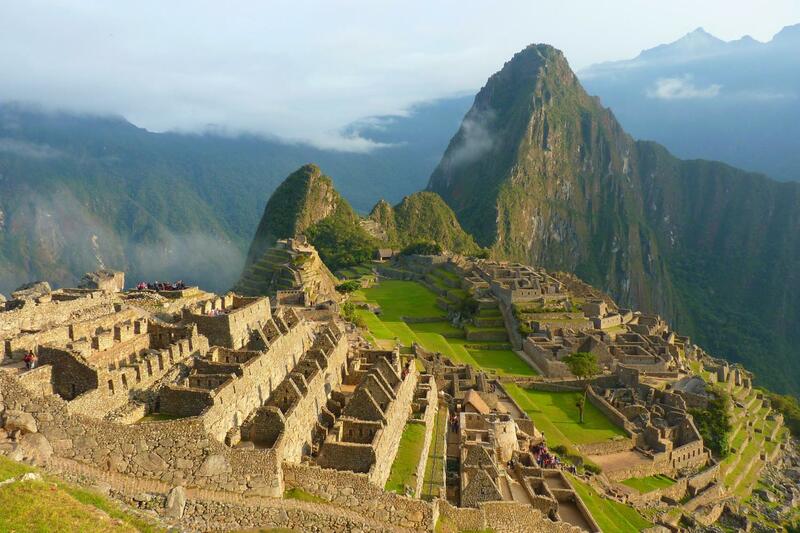 The Lost City of the Incas, Machu Picchu, will astonish us with its terraces, ceremonial shrines, steps, and energy. After a 2.5 hour guided visit, we will have lunch at one of the restaurants in the area. Overnight stay at one of the hotels in Aguas Calientes or Machu Picchu. Morning off. Entrance tickets to Machu Picchu are limited. We suggest applying for the entrance tickets for later dates at the moment you book the whole tour program so as to avoid any complications due to congestions or lack of local availability. In an additional visit to Machu Picchu, we will be able to see the areas of the Intipunku or Door of the Sun, the Inca Trail entrance to the citadel. For those looking for a more intense adventure and wish to visit Huayna Picchu, it is important to have in mind that there are only 400 daily spots to climb the mountain, all of which have to be reserved in advance. At the arranged time, we will return to Cusco by train and will be transferred to the hotel. Overnight stay in Cusco. Departure on a tour bus to Puno. On the way, we’ll stop to visit the attractions this beautiful route has to offer. The first stop: Andahuaylillas for a visit to its beautiful chapel, then its Racchi, Temple of the Wiracocha god where the walls and narrow streets stand out. Then it’s lunchtime and the opportunity to see the view at La Raya, the natural border between Cusco and Puno. Before our final destination, we will visit the in site Pucara Museum and a chance to get one of the local classic bull shaped ceramics. We will arrive in Puno at the end of the afternoon. A full day tour to explore Lake Titicaca. First, we will visit the Uros, the friendly inhabitants of these handmade islands made of totora reeds. Then it’s off to Taquile Island, a place in which the settlers still maintain their ancestral traditions and colorful typical clothes. A great opportunity to explore the island and get the best view of the lake. A lunch box is provided on the island. Return to the city in the afternoon. A must see once in your lifetime. Great learning experience on Andean civilizations. Very professional, knowledgeable, and helpful local travel company , Viajes Pacifico. Everything went very smooth. On departures, Guides would stay with you at the Airport to make sure everything was fine for traveling. Would recommend! Machu Picchu was the highlight of my trip. There are no words, you need to see it for yourself.